​The SAS Base Certification exam is fairly challenging, even for the experienced SAS programmers. 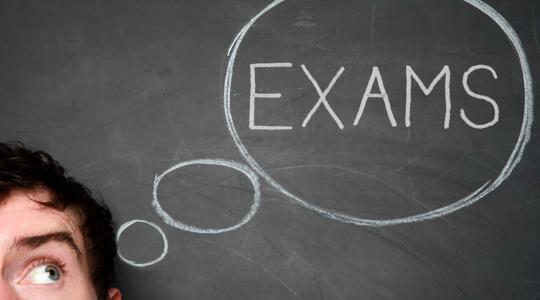 There are mainly 3 options to help you prepare for the exam. The official SAS Base Certification Prep Guide is the most comprehensive study material available for the SAS Base Certification. It is an incredibly detailed study guide covering all of the topics in the exam. It is the only study guide you need to pass the SAS base certification. The study guide is 900+ pages long and it could take a long time to finish reading the entire book. The study guide contains many concepts and techniques that are not tested in the exam. Before you start reading the study guide, you should first become familiar with the sample exam questions. You can then focus your reading on topics that are important for the exam. You can find some sample exam questions on our SAS Base Certification Learning Centre page. It is difficult to learn a programming language on your own by just reading a book. The SAS discussion forum is a good place for you to ask questions when you need help. Having an instructor is definitely better than studying the 900-page manual by yourself. Unless you are in a remote area, it is usually not very difficult to find a good in-class SAS training course, which normally lasts for about 6 to 8 weeks. You will be ready for the SAS base certification exam within just two months. Depending on where you are located, an in-class SAS training course will cost between $800-$1200 USD. Many of these courses do not teach some of the complicated SAS concepts that are not available on the web. The expensive fee mostly goes to hiring an experienced instructor who devotes time to answer the questions you have from the exam. Talk with the instructor before you sign up for the course. Questions in the SAS base exam have rarely changed over the last few years. It is possible to pass the exam just by going through and getting familiar with the exam questions. Most of the exam questions can be found online for a small fee, if not free. It is the easiest and the more economical way to prepare for the exam. The sample exam questions are fairly tricky. Most SAS students have difficulty understanding the solutions without help. Strictly memorizing the solutions is not recommended. If you do this, it means that you have not really learned SAS programming and you may not be able to demonstrate SAS knowledge in a job interview, and it will prevent your career advancement one way or another in the future. Again, you can find some sample exam questions on our SAS Base Certification Learning Centre page. Take advantage of the SAS discussion forum where you can post questions to SAS communities. If you want a quicker solution, you can contact our SAS base expert for help here. Do not just memorize the questions and solutions.